Join the Young Professionals of Jasper County at the Maytag Events Complex, on Saturday April 7, 2018 for the fourth annual re-prom! 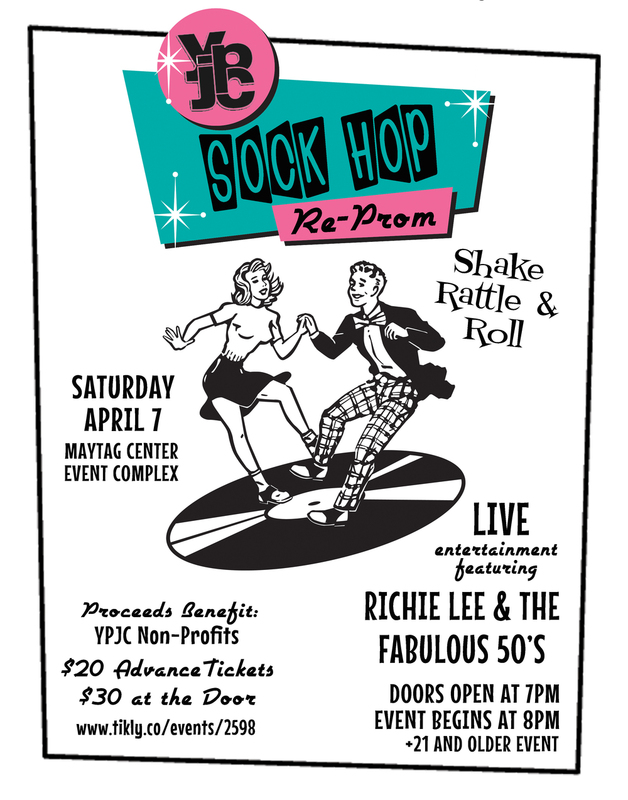 This year’s theme is Sock Hop and it is going to be one rockin' night! We invite all the cool cats over the age of 21 (Greasers, Hot Mamas, Big Daddy’s, Kittens, and Daddy-o’s included) to make the scene and flip your lid! It’s going to be a gas! Dance the night away with live entertainment featuring Richie Lee & the Fabulous 50's! Also, enjoy free keg beer and appetizers (while they last), a full cash bar, and games! What kind of games you wonder? Bubble gum blowing contest, limbo, hula hoop contest, and a diner waiter’s obstacle course! You're encouraged to dress in your best 50's outfit! Stumped on an outfit? Think Grease, big hair, puffy poodle skirts, and leather jackets. However, dressing up is not necessary but we bet you will have more fun if you do! Tickets are available for sale now for $20 (see link below. But hurry as online ticket sales will end on April 6th and will be available at the door the night of the event (April 7th) for $30. So don’t be a square and buy your ticket today! 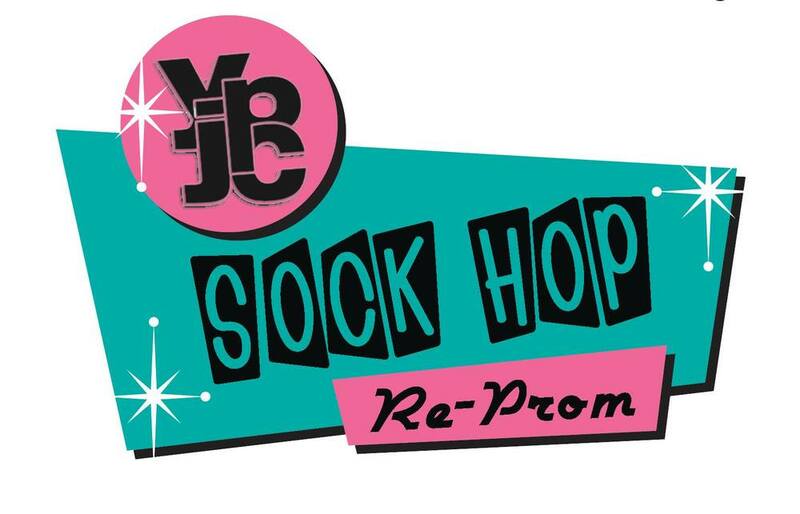 To learn more, check out our Re-Prom - Sock Hop Facebook event. Re-Prom is a 21 and older only event.